Where a student’s authentic interests and deep curiosity meet uniquely supportive, engaged educators, meaningful learning follows. Our faculty members are not only masters of their content areas, they’re also deeply committed to building real relationships, inside the classroom and out. 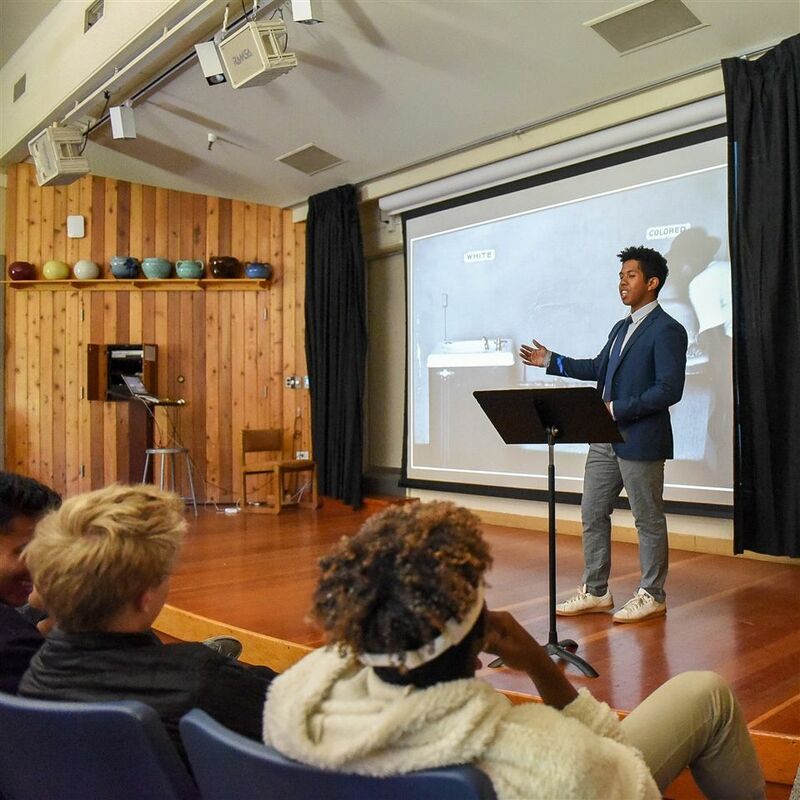 This allows them to carefully design curriculum with a special focus on work that engages real, practical challenges facing our world—and that ignites genuine interest and engagement. They push students to their maximum potential, offering just the right level of support as students accomplish goals and master challenging material that initially felt just beyond reach. 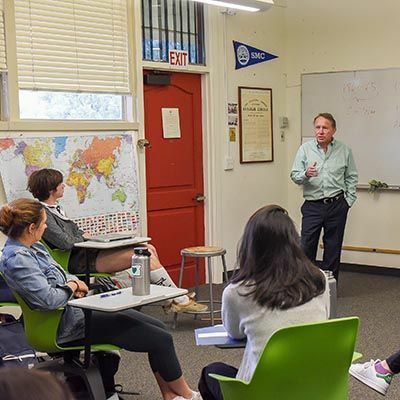 Our faculty also knows that Thacher academics are more than an invitation to achievement—they are an invitation to expansion. Our program can be roughly divided into two, two-year halves. In the first two years, the emphasis is on building a broad foundation of understanding, developing sound academic skills and habits of mind, and sparking the intellectual passions that will take students to places they never imagined. 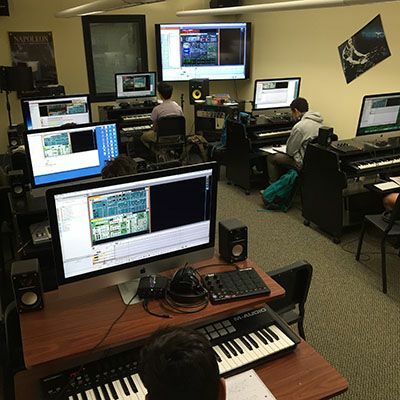 During their junior and senior years, students are challenged to demonstrate mastery, often by following their interests beyond the classroom and across the disciplines, applying skills and knowledge in new ways, increasingly framing and solving problems of their own choosing. 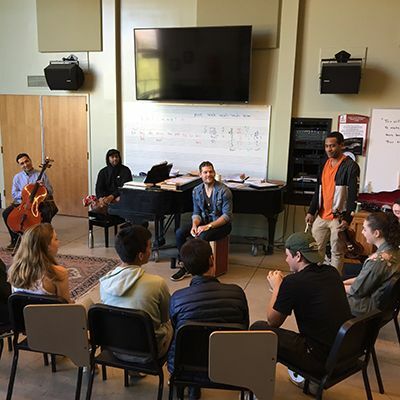 In a Thacher classroom, students find something different. In fact, sometimes students won’t even find four walls. But whether they’re conducting research at the Thacher Observatory in collaboration with a professional astronomer, piloting a manure composting system that will ultimately become a flagship campus sustainability initiative, or delivering months worth of Senior Exhibition research to a crowd of peers, teachers, and friends, they’ll be learning just how much they are truly capable of accomplishing. Our science classrooms are equipped with ample lab facilities to support inquiry and hands-on learning. Our library includes many comfortable spaces for research and study, a “makerspace,” and easy access to numerous online resources. Our Robotics Lab is home to two NAO Robots, Lego Mindstorm robots, a 3-D printer, and a laser engraver. Many Thacher classrooms make use of Harkness Tables to facilitate participation and discussion. The Thacher astronomy program has a long and storied history and has even lured the likes of Edwin Hubble to campus. When weather permits, which is pretty often in Southern California, teachers take their classes to one of our many outdoor meeting spaces. Dating to 1910, the Study Hall is the oldest remaining academic building on campus and still sees good use. 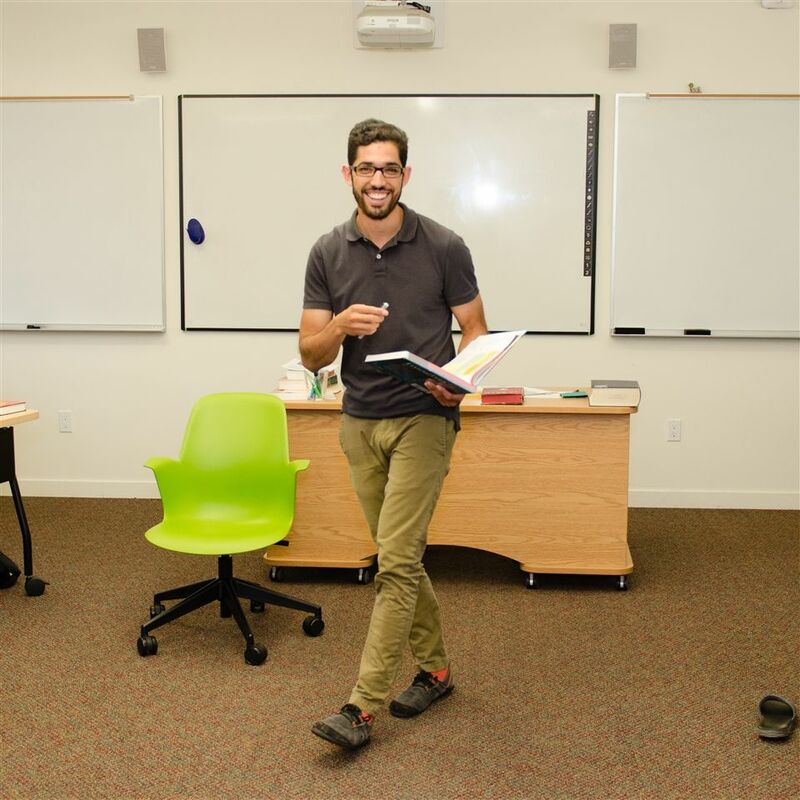 “My favorite part is interacting one-on-one and in small groups in this environment, where I teach, coach, and advise,” said Edgar Arceo, one of the School’s two Fisher Fellows. 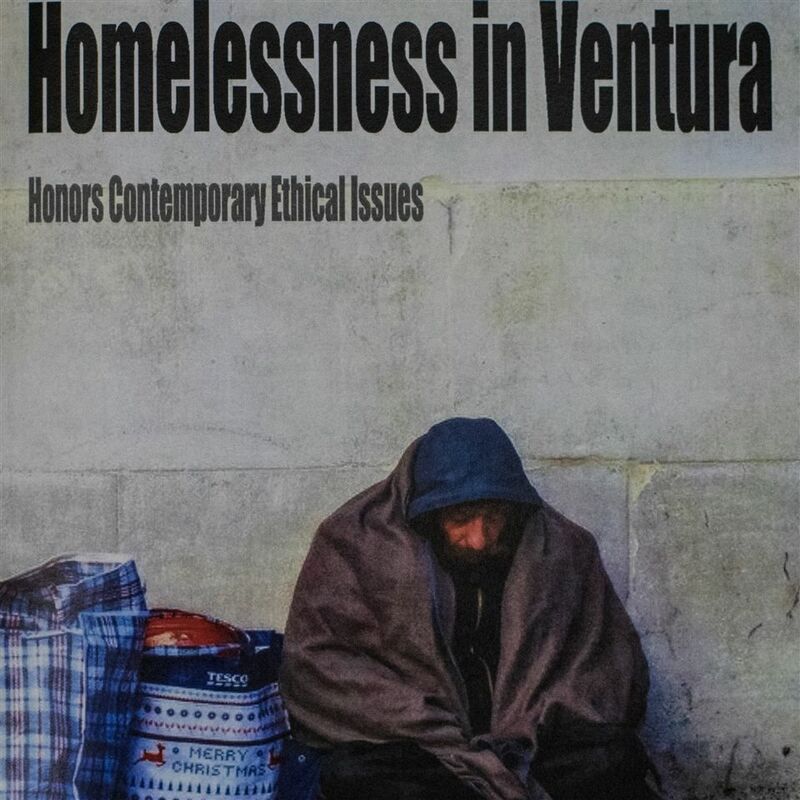 Statistics and ethics students collaborate on research, field work, and activism for their regional homelessness projects. Climate Change Webcast: What’s Happening on the Ground? 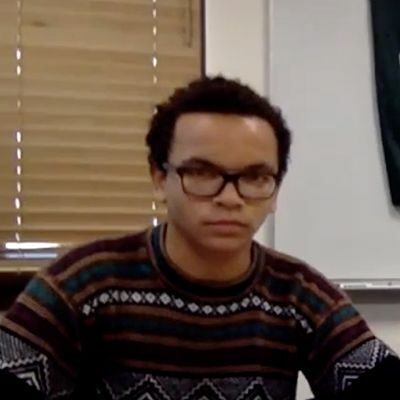 Thacher students participated in virtual conference on the effects of and responses to climate change. If you thought bubbles were for preschoolers, you missed the Math III class last month. Using 808 State’s piece Cubik as a model, students created their own compositions. 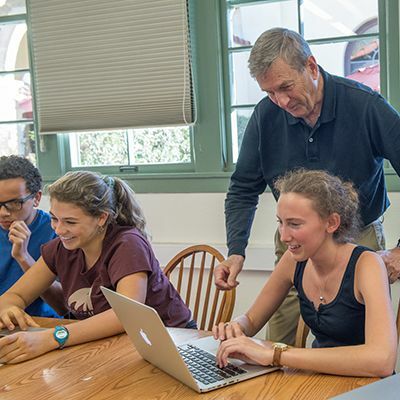 News-Decoder publishes in-depth interview by Daisy '20 on California's methane emissions detection satellite. 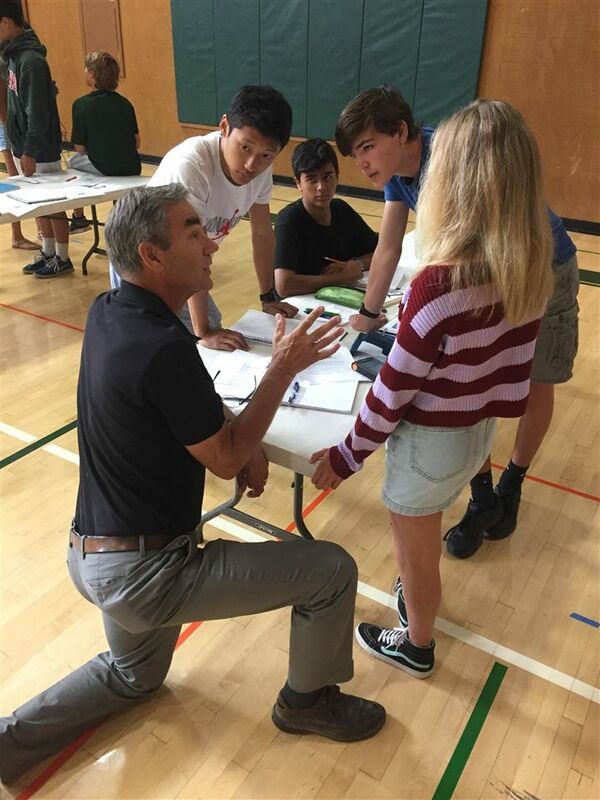 Motion in One Dimension was the first in a series of combined math/science exercises for freshman students. 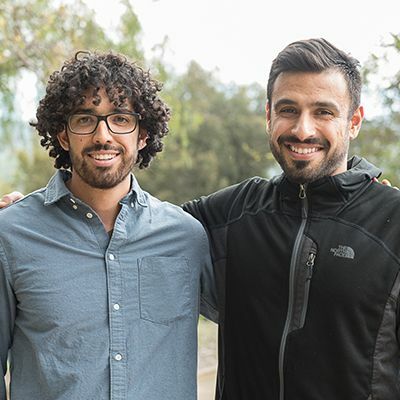 Fisher Fellow Edgar Arceo reflects on his first year at Thacher. The students became the teachers for a few exciting days. Richard E. Welch III, associate justice for the Massachusetts Superior Courts, visits campus.